This entry was posted in Cricket by Ian Westhead. Bookmark the permalink. Can someone please pass on my regards to Mr Webb? 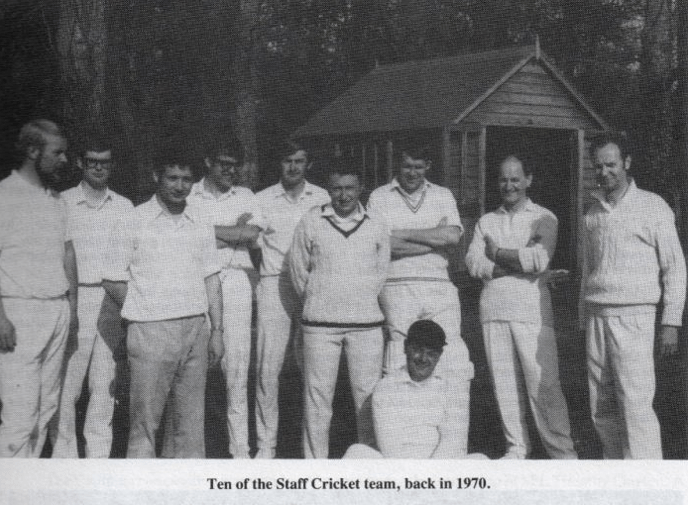 The staff team photo was almost certainly taken at Clayesmore School. Other staff (from left to right) Vic Gaunt, Rob Berry, the French Assistant of the time, Not certain, John Cardew, KRM, MGW, JH, Mr Brooke (I think) Tony Yonge. Thanks for the message from Danny Aloba.